Jim has extensive experience in many aspects of real estate, administrative law and litigation with a particular focus on zoning, environmental and related land use development matters. He represents many clients in the real estate development and construction fields throughout the state. A major portion of his work is on referral from other attorneys and land use professionals. Jim has represented the Darien Environmental Protection Commission, Planning and Zoning Commission and Zoning Board of Appeals for many years, and has also served as special counsel for the Town of Weston and the Town of Westport. Jim has settled many land use disputes and has been appointed as a Special Master and Mediator for the resolution of land use matters pending in the Superior Court. Jim served as President of the Fairfield County Bar Association in 2005-2006. He is the founder and Co-chair of the FCBA Land Use Committee, and is a frequent lecturer at FCBA and Connecticut Bar Association seminars. In 2015 he was appointed to the Norwalk Mayor’s Task Force on Zoning. Jim also has represented private landowners and developers in Stamford, New Canaan, Darien, Norwalk, Bridgeport, Wilton, Westport, Weston, Brookfield and Newtown, and has managed large scale projects in New Hampshire and Vermont. 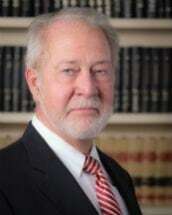 He has also has been a volunteer litigator for Connecticut Legal Services from 2012 to the present, and serves as Trustee for a number of clients nationwide. Jim holds his 50 Ton U.S. Coast Guard Master’s License and with his wife Kristin and their three children enjoys skiing, sailing, offshore racing and building houses.